Xiaomi’s latest smartphone looks a lot like previous releases and a bit like the Huawei P20, which also happens to stand out because of its camera. The phone’s most impressive feature is that it comes with a dual camera. The rear camera is 48MP + 5MP, something we don’t see on budget smartphones. Several companies have released cameras with impressive features but this is one of the most eye catching yet since the phone’s price is very very very low when compared to others such as the P20 Pro, iPhone XS, and Galaxy S9. Xiaomi has announced that the phone has three variants, two which have a price under $200. 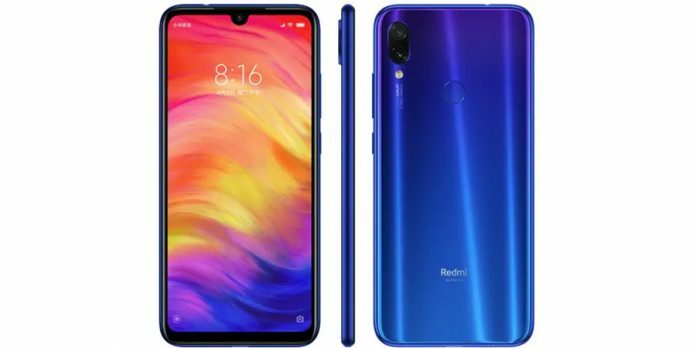 The base variant of the Redmi Note 7 has 3GB of RAM and 32GB of internal storage. That variant starts at CNY 999 ($147). The second variant with 4GB of RAM and 64GB of internal storage is just a little bit more expensive. That one starts at CNY 1,199 ($177). The most powerful variant of the three has 6GB of RAM and 64GB of internal storage. This one has a price of CNY 1,399 ($206). The phone was announced in China last week and it went on sale there today. Most Xiaomi smartphones are first released in China before making their way to other countries. Xiaomi has not said if the phone will be released in other countries in the near future. Other Xiaomi markets such as India have recently gotten other versions of the Redmi series so it wouldn’t be surprising to see the Redmi Note 7 release there later this year. Dual rear camera. 48MP + 5MP. Front camera of 13MP. 3GB, 4GB or 6GB of RAM. 32GB or 64GB of internal storage. Color options: Bright Black, Twilight Gold, Fantasy Blue. The Redmi Note 7 is a very impressive release due to its camera and price but this is not the first time that the Chinese giant catches the attention of the tech world. Late last year, Xiaomi unveiled the Poco F1 smartphone. The phone’s main attraction is its big features at a very low price. Xiaomi went all out for this release, bringing the latest Snapdragon processor as well as a nice 4,000 mAh battery. The Poco F1 smartphone, starting at $300, isn’t as cheap as the Redmi Note 7 but it does offer much more powerful specs. The most expensive variant offers a whopping 8GB of RAM, something that is usually found on flagship releases that cost over $600. The budget category has seen some impressive releases from just about every smartphone company but Xiaomi has stepped up its efforts and released a device that could be the budget king for the year.